In Anthropomorphic Disorder, one of the main signs you have a problem is when you buy something like these slippers - a steal at $2.99. While everyone has the right to rock cute bug feet, one has to ask oneself a few questions. Like - can I fit my size twelves into these little girl slippers? And - what kind of bug is this anyway? 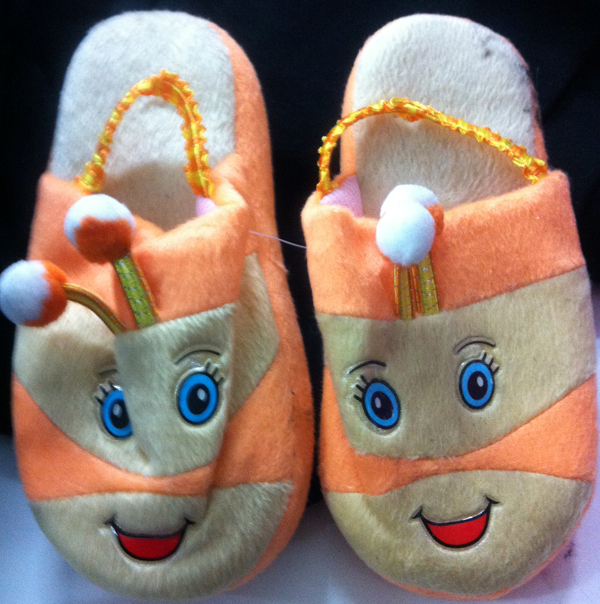 And lastly - where the hell did these slippers come from and what were they like at the concept level? Who was the designer? Who gave the go ahead on production? Without satisfactory answers to these questions, you've got no business making a purchase, especially if you have a problem with putting sticky eyes on all your bathroom products.